About 14 percent of women in the age bracket 40 to 44 — generally considered the end of the childbearing years — are not mothers. Kate Kaufmann always planned to have children. Never did she imagine that she’d spend years researching and writing about women who — just like her — aren’t mothers in a culture that expects it. Over the decades after her infertility journey, Kaufmann found women who aren’t mothers (by choice or circumstance) face unique challenges when it comes to managing their careers. “It’s a part of the conversation we don’t know how to have,” said Kaufmann, author of the new book “Do You Have Kids? Life When the Answer is No.” “There are stigmas and stereotypes on both sides, and it’s a shame, because as women the experiences we all have are so rich." Kaufmann and other experts Know Your Value spoke to noted we don’t even have a great word to describe these women in conversations about parenthood. Non-mothers? Child-free or childless? They all describe women in terms of the absence of motherhood. About 14 percent of women in the age bracket 40 to 44 — generally considered the end of the childbearing years — are not mothers, according to a Pew Research Center analysis of U.S. Census Bureau data. 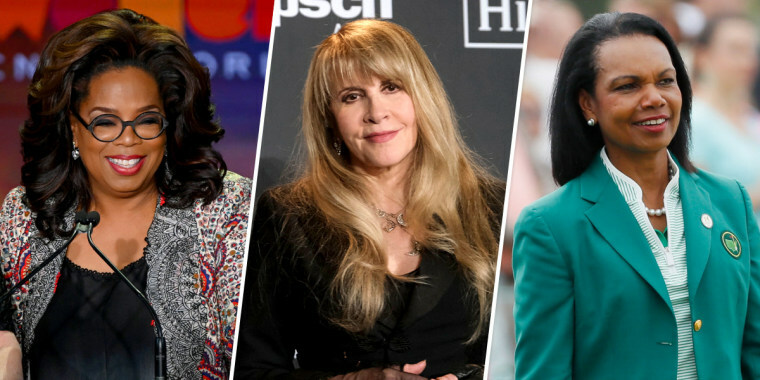 In the celebrity realm, several high-profile women have proudly discussed their child-free status in recent years, including Oprah Winfrey, Lily Tomlin, Condoleezza Rice and Stevie Nicks. Whether you’re childless, child-free, or unsure about whether you want to or will become a mother, here’s what you need to know about managing your career. Increased ability to take career risks: Without the inherent ties of kids who depend on you, taking risks can be more appealing compared to those who are parents. Jenn Seva, 48, who works in business development at a gaming company in Seattle and does not have children by choice, recalled the flexibility to consider a job that would have taken her away from the man who would later become her husband for more than two years. Higher earnings: Without the need for maternity leave or taking significant time off to raise children, women without kids are more likely to have continuous careers. Some analyses of the gender wage gap conclude this difference is key: A 2014 study that analyzed pay data from the Bureau of Labor Statistics found that married women without children earn 93 cents to a child-free man’s dollar. But married mothers with young kids earn only 76 cents on that dollar. Potentially reduced risk of burnout: Anyone, with or without children, can spend too much time working. And we all have personal lives to balance with the responsibilities of the office. But for those who aren’t parents, work days aren’t punctuated by helping with homework or lengthy bedtime routines. Generally, your downtime is your own to de-stress, unplug and do what you feel like. Jane Terzis, 68, is a fine artist living in Portland.Courtesy of Jane Terzis. Jane Terzis, 68, a fine artist who now lives in Portland, Oregon, enjoyed a fruitful career as an art professor, prison arts program director, yoga studio owner, freelance illustrator and more. Terzis is childless by circumstance after spending 10 years on an infertility journey that included traveling from Juneau to Seattle for treatments. “Days in academia are long, and for a few years there I came home practically falling on my face every night,” Terzis said. “But I came home to a husband who’d made me dinner and then we could relax and watch a movie, or I could go right to bed. Of course I worked with mothers who managed it, but looking back, it’s really hard to imagine getting through it while caring for a child." Assumptions that you can work nights, weekends, whenever: Colleagues and bosses may assume women without kids are always available for that weekend shift, the late meeting or the overnight call with India. Notkin, the “Otherhood” author, cautioned that women may have to speak up. “I actually had to say to my [former] boss, having these meetings at 6 and 7 p.m. isn’t helping my own career and dreams and it isn’t sustainable for me,” said Notkin, who now runs her own business. Feelings of “otherhood”: Particularly at workplaces with several women of childbearing age, “there will be conversations you’ll feel left out of and celebrations where you'll feel sidelined,” Kaufmann said. Office baby showers may be particularly difficult for people who are childless by circumstance. Beyond the one-off celebrations, constant feelings of being outside of the peer group culture can be even more challenging. Connecting with other colleagues outside of the mom group can be a way to cope. Finding other common ground to bond with the women who are mothers is another effective tool. Stigmas and stereotypes that can bleed into work: But those mothers may inadvertently make assumptions about what their child-free and childless counterparts want to hear about. Several women told Know Your Value they would have been happy to hear about their colleagues’ kids, but they felt people assume they don’t care or even that they hate children. They talked about being left out not only of first birthday parties in their social lives, but discussions at the workplace. The decisions and circumstances surrounding parenthood are deeply personal, so it isn’t surprising that the conversations are difficult — especially at the office. But, Kaufmann agreed, that’s why stigmas fester and stereotypes persist.